Polyurethane is a unique material can be created from a single piece that is bent and curved into the appropriate shape. 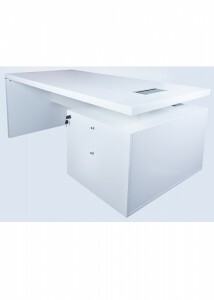 What this means for you is that polyurethane desks are incredibly sturdy and durable. It is also possible to create some truly unique styles and shapes to show off your personality and style. The desks in this collection all incorporate sleek, modern style elements to give your office a contemporary look that will delight employees and clients alike. Choose from straight desk styles or go all out with a credenza-style desk with a hutch. All of these desks come with included storage space underneath in the form of drawers, but the credenza and hutch variation also includes cabinets and shelving up above, giving you even more space to store office supplies, important documents and sentimental personal items. 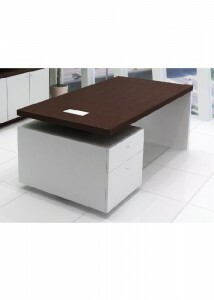 Polyurethane desks give your office a unique look that brings your work space into the modern age. 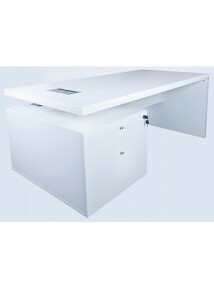 For a contemporary style unlike any other, polyurethane desks are the way to go. With the selection here at Ideal Furniture, your next office fit-out can deliver something truly spectacular. Browse through our selection today to create an office environment that your employees will love spending time in.